For over four decades the Palestine Liberation Organization (PLO) has been internationally recognized as the sole legitimate representative of the Palestinian people. Yet, since 1994 the PLO has only existed in name only. While many Palestinians ask who represents them and seek to revive the PLO, Al-Shabaka Policy Advisor Osamah Khalil argues that such an action will not lead to greater representation and accountability. He contends that the PLO’s institutions were designed for a national liberation movement in the context of the Cold War and were deliberately constructed to limit broad-based representation until victory was achieved. In the absence of victory, the same institutional structures have been used to hinder potential reforms and distance the Palestinian leadership from the population it purports to represent. 1 Khalil concludes that in order to achieve their rights, Palestinians must abandon the PLO and begin working to create a new representative body more suited to the challenges, needs, and opportunities of the twenty-first century. At its height, the PLO was successful in keeping the Palestinian struggle alive and in the world’s view. In 1974, both the United Nations and the Arab League recognized the organization as the “sole, legitimate representative of the Palestinian people.” However, as Palestinians prepare to observe the 65th anniversary of the Nakba and the 20th anniversary of the Oslo Accords, the failure of the Palestinian national movement to achieve its goals has never been clearer. 2 Which raises the question: who represents the Palestinian people today? The question of representation is particularly pressing due to several recent trends and initiatives. First, are the Arab revolutions and counterrevolutions, which have led to the overthrow of several of the region’s long-standing dictatorships. Meanwhile, Palestinians have largely been on the sidelines of the “Arab Spring.” Second, is the recent vote by the United Nations to accept Palestine as a non-member observer state. This decision has uncertain implications for the standing of the PLO and Palestinians living outside the borders of the “State of Palestine.” Third, are the continuing negotiations between Fatah and Hamas and the elusive promise of national unity. Fourth, is a recent initiative calling for direct elections to the Palestinian National Council (PNC), following implementation of a unity agreement. Finally, the terminal state of the “peace process,” which will be further highlighted by President Barack Obama’s planned visit to the region this month without a proposal to restart negotiations between Israel and the Palestinian Authority (PA). Since 1974, the PLO’s leadership has fiercely defended the organization’s designation as the “sole, legitimate representative of the Palestinian people.” Indeed, the phrase was used as a shield and a cudgel against internal and external foes and competitors (real and perceived). As a national liberation movement, the PLO claimed that it was essential to speak with one voice. Following the 1993 Oslo Accords and creation of the PA, this was transformed into the imperative that there could only be “one authority” in the West Bank and Gaza. Attempts to critique the leadership of the PLO or the PA invariably led to the accusatory question: “Who are you?” Who are you, the leadership would declare, to speak, to question, to criticize? The purpose was clear: To silence, intimidate, and limit the parameters of permissible discussion and dissent. By defining and shaping who and what represented the Palestinians, the PLO’s leadership deliberately limited their accountability to their people. The leadership’s autocratic behavior reflected the PLO’s origins and would be reproduced in its institutional structures. Effectively drawing on the superpower competition between Washington and Moscow as well as inter-Arab rivalries, the PLO benefited from the diplomatic, financial, and military support of Arab and non-Arab allies. This reached its apogee with PLO Chairman Yasser Arafat’s 1974 speech to the UN General Assembly. However, the limits of that support were on full display during Israel’s 1982 invasion of Lebanon, which sought to expel the PLO from the country -- if not destroy it altogether. The PLO’s leadership faced a dramatically different and more challenging international environment with the end of the Cold War. This was compounded by the First Persian Gulf War and Arafat’s public backing of Iraq, which alienated a number of Arab governments and endangered well-established Palestinian communities in the Gulf States. As a result, the PLO’s financial and political bases of support were severely constrained. Moreover, as the first Palestinian intifada attracted international attention and sympathy, Arafat feared the emergence of an alternative leadership in the occupied West Bank and Gaza. These factors contributed to his decision to secretly negotiate the Oslo Accords. Originally intended as a five-year interim agreement, the Accords fell far short of the PLO’s pronounced goals. Their implementation resulted in the dismantling of the PLO and the establishment of the PA. The ensuing two decades of “final status” negotiations and continued Israeli occupation confirmed that Palestine would not be liberated nor would there be an independent Palestinian state. Although the situation of the Palestinians and the PLO has changed dramatically since 1968, the organization’s institutional structures and governing by-laws have effectively remained the same. Designed for and by a national liberation movement, the PLO’s key institutions are not only anachronistic but serve to hinder internal and external challenges. This is evident when comparing the PLO’s two highest bodies: the PNC and the Executive Committee. According to a legal memorandum prepared for the PA, the PNC was created as the parliament for all Palestinians. Its responsibilities include “formulating the organization’s policies, plans and programs.” The Executive Committee is the PLO’s “primary executive organ” and represents the organization “at the international level.” While this may be true on paper, it overstates the role of the PNC and understates that of the Executive Committee. Over the past four decades the Executive Committee has essentially performed the PLO’s legislative and executive functions, a role that became more pronounced over time. In contrast, the PNC did not check, balance or even advise the Executive Committee, but served to affirm its decisions. Moreover, the Executive Committee, much like the PLO and the broader Palestinian national movement, became increasingly beholden to and reliant on Arafat’s often uncontested decisions and actions. Since Arafat’s death, Mahmoud Abbas has sought to fill this role. Therefore, for over 20 years and 15 PNC meetings no secret ballot election was held for the leadership of the PLO’s highest body. Nor did the PNC consider this extraordinary as demonstrated by the fact that it was Arafat’s decision and not an initiative by PNC members. Moreover, the result reflected the existing power dynamics within the PLO and in particular Arafat’s preference. Finally, this demonstrates that even before the Oslo Accords and the subsuming of the PLO by the PA, the PNC was hardly an independent, decision-making body. While there may have been debates between the different political groups represented at the PNC, it would be difficult – if not disingenuous – to call it a legislative body. All PNC seats were appointed not elected, and the vast majority of seats were awarded based on the PLO’s quota system of representation in proportion to the size of the particular political faction. As’ad Ghanim explains that the quota system was exploited by Arafat “to guarantee passage of the decisions he supported and the selection of his confidants to important posts.” 5 Although the PNC had seats for independents and members-at-large, those appointed were largely aligned with Fatah, further bolstering its weight within the PLO and enhancing Arafat’s power. This structure served to reinforce three dynamics. First, PLO decision-making remained with the Executive Committee where the leadership of the different political organizations had seats and met frequently, unlike the PNC. In addition, the Executive Committee and not the PNC controlled the PLO’s budget. Over time, decision making within the Executive Committee and budgetary control were consolidated under Arafat and used to influence decision-making. This would also be a feature of Arafat’s rule in the PA. Second, the leadership of the different factions selected the members of the PNC. Therefore, the members were beholden not to a constituency but to their organizations, and in particular the leadership of those organizations. The final trend was the predominance of Fatah and Arafat within the PLO, which over time became virtually and deliberately indistinguishable from each other and the national movement as a whole. Following the implementation of the Accords a year later, the PLO existed in name only. 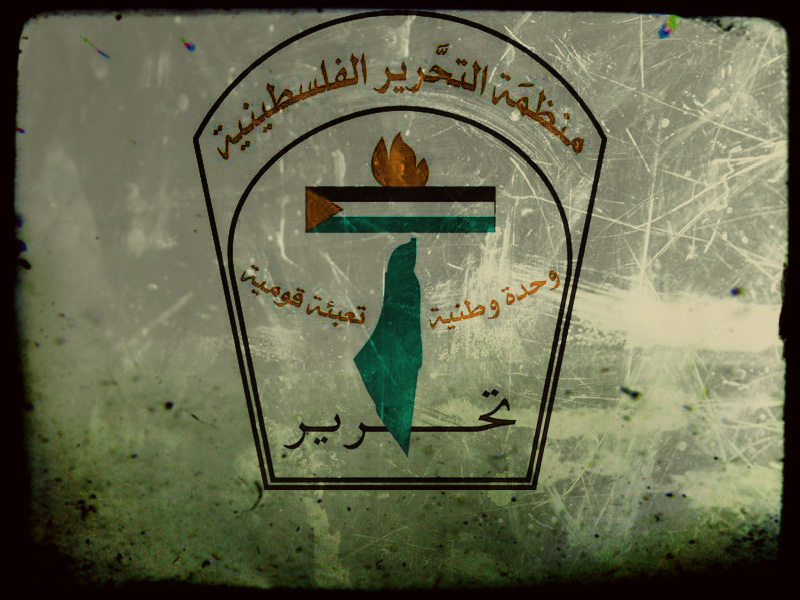 Although the PA is still legally responsible to the PLO, the organization’s core leadership, staff and funding were transferred to Gaza and later Ramallah. The few PLO staff that remained had to cope with chronic budget shortfalls and irrelevancy. The limited effectiveness of the PNC before and after Oslo raises questions about the potential for reform of such a body. While the composition, representation, and by-laws may have been justifiable for the “parliament-in-exile” of a national liberation movement, the same cannot be said today. In addition, it is not clear how a PNC – even one that is directly elected – can hope to limit, constrain or even influence an Executive Committee that maintains authority over the budget as well as domestic and foreign policies. Therefore, reforms to the PNC alone will not change this dynamic. In addition, the PLC’s functions and authority are limited by the terms of the Oslo Accords, which also served to expand the executive and legislative powers of the PA President. These include the ability to issue executive decrees without the input or oversight of the legislative or judicial branches. 9 Thus, the PA President is a power unto himself – except of course for Israel and the United States. Any attempts to revitalize Palestinian institutions will encounter resistance from the leadership of the PLO and PA as well as the United States and Israel. This was demonstrated following the 2006 PLC elections where these very same forces sought to overturn Hamas’s victory at the ballot box. Even after a unity government was declared, elected legislators to the PLC have consistently been prevented from taking their seats. This includes an active campaign by Israel to jail PLC members in the West Bank and prevent those in Gaza from traveling to Ramallah for meetings. In addition, the PLC has not convened in over five years and a significant number remain in Israeli custody. The position of PA Prime Minister represents another barrier to reform. Established under pressure from Washington, the main requirement for the position is that the individual must be to the satisfaction of the United States and Israel not the Palestinian people. Predictably, the PA leadership has acceded to this demand. Therefore, if American and Israeli policies and actions prevent Palestinians from freely selecting their own Prime Minister and the PLC from convening, how would they view attempts to directly elect a PNC that openly flouts American hegemony in the region and challenges Israel’s occupation? This is not to suggest that Palestinians should allow the U.S. and Israel to dictate who their leaders and elected representatives are, but rather, that Palestinians must consider and take into account how the United States, Israel, and the PA will work to hinder and undermine any efforts for representation, accountability, and democracy. These issues and limitations also reveal a major contradiction in the attempts to revive the PNC and the PLO. Namely, democratic elections that serve to enshrine the rule of non-democratic movements will bring neither reform nor democracy and will only serve to entrench the status quo. In particular Fatah, which has dominated Palestinian politics since the late 1960s and maintained a virtual monopoly on the political and economic spheres for over two decades, has repeatedly demonstrated that it has no interest in representative and participatory governance. This reality overrides the all too infrequent Fatah conferences, which are invariably hailed by supporters as a sign that reformers will emerge to reclaim the movement and restore its perceived former glory. Of course these hopes only result in disappointment when the same compromised and corrupt leadership is maintained. This is precisely what happened at Fatah’s Sixth Congress in 2009. Fatah is supposed to hold elections to its central committee every four years. Yet, the 2009 Congress was only its sixth meeting – and the first in 20 years. The Congress witnessed the reemergence of Mohammad Dahlan, the once feared head of the PA’s Preventive Security service in Gaza. Notorious for his brutality and corruption, Dahlan was still voted onto Fatah’s Central Committee. Another compromised individual, Ahmed Quray‘, was only able to obtain a Central Committee seat through back room deals and the intervention of Abbas. While Dahlan has since fallen from favor, Quray‘ remains a key figure in Fatah and the PA. Thus, a Fatah party whose representatives maintain a large bloc within an elected PNC and are beholden to an unrepresentative and ineffectual leadership will not be the vehicle for reviving the national movement but a persistent impediment. The other major winner of post-unity agreement elections to the PNC -- and impediment to reform -- would be Hamas. Rather than fulfilling its 2006 platform of “reform and change,” Hamas has emulated Fatah’s rule of suppressing political opponents and dissent while adopting even more conservative policies. Indeed, in the past two years Palestinians in the West Bank and Gaza who have attempted to conduct peaceful assemblies and protests have been subjected to violent suppression by the competing truncheon authorities. Moreover, the multiple agreements and initiatives to resolve the impasse between Fatah and Hamas that have been negotiated but never implemented since 2005 should make it abundantly clear that their only concern is acquiring and maintaining power. Nor do the other major organizations in the PLO, the Popular Front (PFLP) and the Democratic Front for the Liberation of Palestine, offer hope for an alternative. This was demonstrated by the recent municipal elections in the occupied West Bank. Although there was low voter turnout since Hamas did not participate and Fatah was split, the leftist parties did not receive a significant number of votes or seats. Without a significant improvement in organizing, fundraising, and outreach it is highly unlikely that the Palestinian Left will be able to revive its moribund status if participatory elections for the PNC are held. Instead, much as they experienced in the PLO after 1988, the Palestinian Left’s desperation for relevance will be used to further the agendas of stronger parties whose positions and platforms are antithetical to their own. The state of Palestinian politics remains bleak and none of the existing political factions offers a compelling vision for the future. In large part it is because they do not represent the future of the Palestinians but their past. They will not drive a rebirth of the Palestinian national movement and are far more likely to delay and hinder its development. If a revitalized national movement has any hope of succeeding where the previous efforts have failed, it will require a different way of thinking about what a national liberation movement looks like in the twenty-first century. It must be truly representative and it will require abandoning the previous structures and organizations, including the PLO and its key bodies. What remains of the PLO today -- its name, its international status, and the few vestiges of its bureaucratic institutions, offices, and titles -- have and continue to be used by a small, unelected, and unrepresentative clique to further their own agendas. 10 In doing so, they effectively and deliberately block any attempts at reform, at challenging Israel’s policies, or developing alternative voices. In spite of these facts, some will argue that the PLO remains the “sole, legitimate representative of the Palestinian people.” I respectfully disagree and instead ask: What kind of representative abandons the very people it purports to represent? What kind of representative has a leadership beholden not to its people but to the very powers responsible for their continued dispossession? What kind of representative repeatedly concedes the basic rights of its people, attacking those who object while the leadership and the oligarchy surrounding it benefit from their position, titles, privileges, and a state of perpetual occupation? These questions clearly demonstrate how far the PLO is today from what many Palestinians believed it to be at its height. How will a revitalized PLO, even one with a democratically elected PNC, overcome the political and institutional limitations historically placed on the organization? How will it be any more accountable to Palestinians around the world than the original PLO or the PA? What measures are being taken to ensure that a new PLO/PNC will not be subject to external manipulation by the United States, Israel and their Arab allies? Or internal manipulation by the existing PLO/PA leadership? How do initiatives that hope to challenge the current Palestinian leadership, rely upon its offices and representatives for voter registration and eventually elections? Or on its goodwill to rebuild the national movement? Would a revived PLO renounce the Oslo Accords? If that is the intent, what is to become of the PA, its employees and the families that rely on those salaries? If it is not the intent, then what exactly is the purpose of a revitalized PLO that is still bound by the Oslo Accords? After elections, where will the PNC convene? How often will it meet? Where will its budget come from? Who will be responsible for managing it? As these questions make clear, while the idea of reviving and rebuilding the PLO and holding PNC elections sound well-meaning there is a great deal of uncertainty about their implications and the impact on Palestinian rights. Indeed, if history is any guide, a revived PLO would be as likely if not more so to further entrench factional differences while offering legitimacy to a feckless leadership that no longer enjoys it. In addition, Abbas understands the legalistic and symbolic importance of the PLO’s titles and institutions. He has flirted with revitalizing the organization and holding PNC elections as a way to blunt criticism and challenges to his rule. However, the history of the Palestinian national movement offers a different lesson and a possible alternative path. Prior to 1967, the PLO was seen as a tool of the Arab regimes, in particular Nasser’s Egypt, and was dominated by the old notable Palestinian families who were seen as responsible for the political infighting which contributed to the Nakba. Yet, the fledgling political groups – Fatah and the Arab National Movement (which later became the PFLP) – were seen as far more independent and legitimate by most Palestinians, especially Palestinian youth. Following the debacle of the June 1967 War, they forced out the PLO’s original leadership and took over the organization. Although this historical analogy is not perfect, it is suggestive. If Palestinians want a representative body, national unity, an end to factional differences and to a corrupt and illegitimate leadership, they will need to build that movement themselves from scratch. They will also need to make the previous body and its leaders -- regardless of their revolutionary origins and rhetoric, titles, symbolism, and emotional ties -- obsolete and irrelevant. With a past marked by failure, Palestinians must imagine and work toward a very different future. Otherwise there will be little hope of finding a successful strategy or vehicle to achieve Palestinian rights.